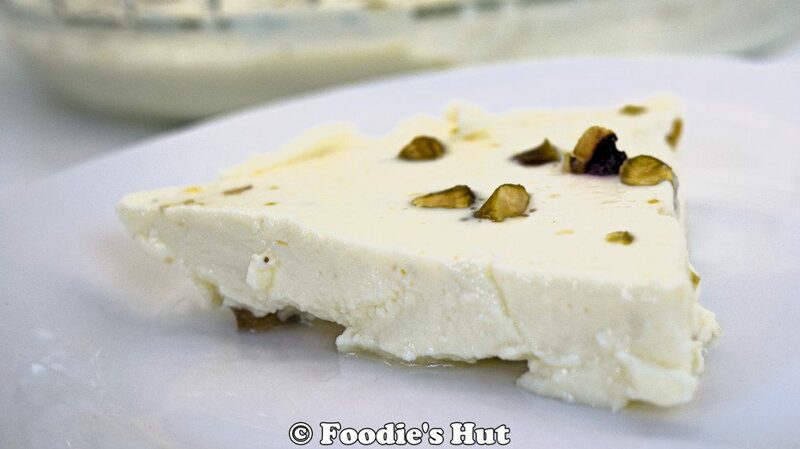 Bhapa Doi or steamed sweet yoghurt is a traditional Bengali dessert, very simple to make and require few basic pantry items; if you love pudding kind of desserts and don’t want to use any gelling agent or thickener, you will love this. Add yoghurt and Condensed milk In a Mixing mug, whisk well to get a creamy texture. 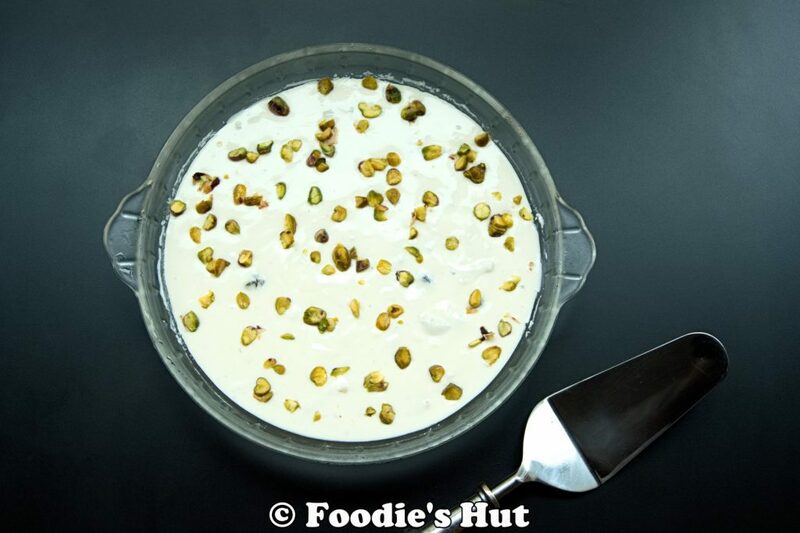 Add remaining ingredients except for Pistachios; give a good mix with a spatula. Pour hot water into a roasting pan or baking pan. 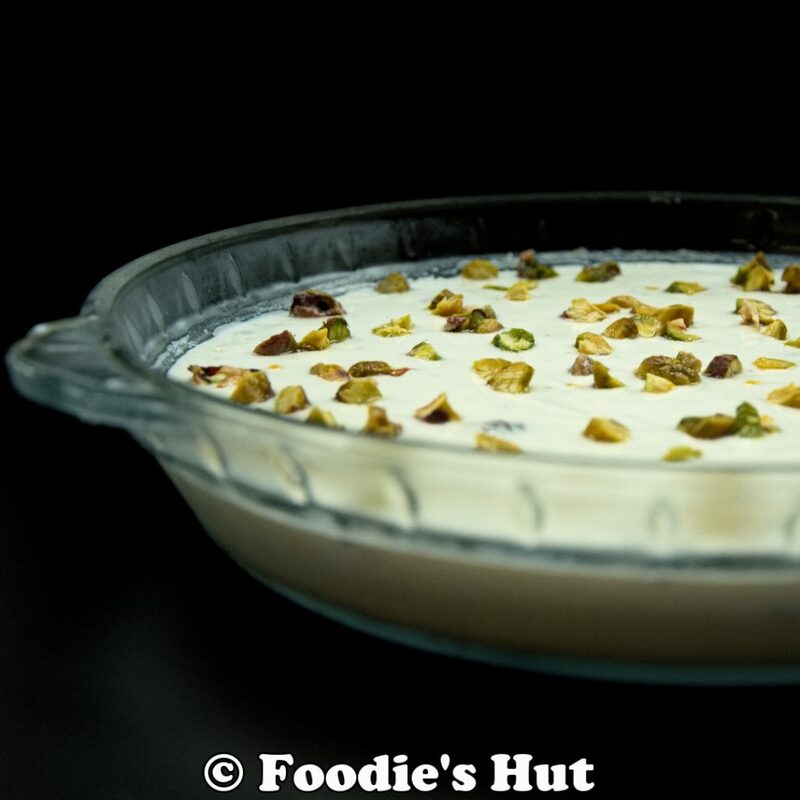 Pour the mixture into an ovenproof tart pan or ramekins and garnish with Pistachios. Cover the pan with foil so that steam cannot escape, place it in roasting pan which filled with the hot water. Turn off the heat after 20 minutes and keep it inside to the oven for another 10 minutes (not more than that, otherwise Yogurt will release water). Bring it out from oven and allow to set it in room temperature.